The Hamsterley Beast has earned a reputation as one of the best mountain bike challenges around. Help raise money for the GNAAS and enjoy tackling the Hamsterley Forest. 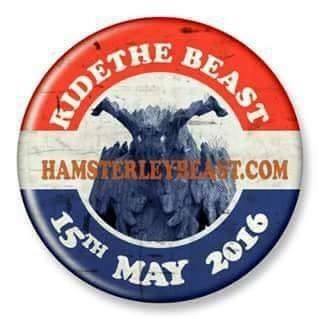 Since 2015, mountain bikers from across England and beyond have descended on an otherwise peaceful corner of County Durham to take part in the Hamsterley Beast. Each year since then, the event has grown in size. The 2017 Beast sold out twice and 2018 had record numbers! All of the money raised through the event supports the Great North Air Ambulance Service (GNAAS). In just four years, riders in the Hamsterley Beast have helped raise just over £85,000 for GNAAS. Your participation in the 2019 event will add to that total.